Hello all I have a Honda Accord 1990 automatic transmission and it has been giving me some issues in the past couple of days. So I start it put it in reverse and than drive and I proceed to drive, and then maybe after a couple minutes the car will not want to shift gears and then it will act as if it is neutral. No matter if I put it in 1,2,D3,D4, or R. I will give the gas and the engine will just rev. I can turn off the car wait a minute start it up again and then it will start driving again for a minute or two and then the same issue. I had a couple different people look at it. I was first told it was the TCU by the Honda dealership so I replaced that with a brand new one off rockauto did not pull one from the junkyard. Opened my TCU up and there was some resistors burnt out and some leaking so I thought good this was the issue. But no changing the TCU did not solve the issue. Changed the solenoid that did not fix the issue either. Took it to AMMACO they said it was the torque convertor, went back to my regular mechanic he said he does not buy it. He said if the torque convertor was bad it would make some noise and grind gears. So this is where I am stuck. I tried to search the form for any solutions but was not able to find one. Apologize if there is a thread with a similar issue but I could not find it for the life of me. If you need any other information please feel free to ask. Fluid is fresh as well so it is not dirty. Thank you! Last edited by Danyal68; 02-23-2019 at 04:29 PM. Have you checked for any problem codes? Nope does not show any code. Sports mode light does not start to blink. Stays off unless I turn it on. From what I can tell, there are two lockup solenoids. Did you replace one or both? If not have you tested the other to make sure it's good? There's also the VSS which will cause problems if it's bad. You might grab the VSS and another solenoid from the junkyard if you end up needing them. WAY cheaper than buying them new. Not to mention probably better quality. I encountered this problem in a 91 LX auto. I swapped transmissions with a known good, put in a reman torque converter from Florida Torque, and replaced the TCU several times. Still had the problem. I was never able to get even a slight change in the symptom. I did a thorough scouring of the internets and found several mentions of this problem, but never a resolution. I never changed the wiring harness or the shifter itself, and I wonder if it may have been one of those items? Or some other little thing somewhere in the control system that I overlooked? I had thought about wiring in manual control switches to the solenoids and seeing if I could run the trans through the gears by setting the solenoid states by hand in order to determine if the problem was internal to the trans or resided in the control system, but in the end I decided I would rather just drive a 5 speed and be done with it. Eventually I parted out the car, which was a shame because it only had 80k miles on it. Ironically, I still have the auto trans and reman TC sitting in my garage wasting space. Free to good home, if you happen to be near Eastern Iowa. I've got a hand full of TCUs that can go with it. If you happen to solve this problem I'd love to hear about it. 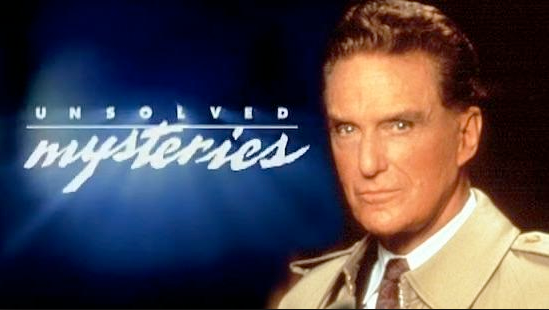 We can call Robert Stack and do an update show. I changed the solenoid on top of the transmission then one you can ace as if you pop the hood. I’ll try changing the Speed sensor as well but it seems to function proper when the car is moving normally. Yeah one of the guys I had look at it said it may be and electrical issue it’s back at Honda so I will let you guys know if they find something different in the mean time any input is helpful. Have you changed the fluid, using genuine Honda ATF? I assume so, given how thoroughly and methodically you’ve done everything else, but it can’t hurt to mention! These transmissions are sensitive to the correct fluid, and modern stuff is way better than what was originally used in these cars. Other than that, torque converter or electrical issues seem to be your only remaining options! Also, props on the detailed thread. Told us everything we need to know, while being easy to follow. Yes Mike I did use Honda Automatic Transmission fluid. I might have just joined the site, but I have been using it for years. Normally whenever I search for the issue I am able to locate a thread this time no luck. clearly, if you know my name! This is precisely the situation that calls for the Honda test harness (https://honda-tech.com/forums/sale-1...3010a-3258408/). I want to find one so bad, just in case something like this pops up. Yes Deeve glad you keep this site up it has been extremely useful to me over the years. wtfisafleek, I did get Honda to test it so they should be able to identify the issue with that machine, but the stated the TCU I purchased is not the correct one. Any ideas where I could purchase a new TCU other than Honda that is for my exact model? Not likely to find a new one. If you have a faulty one of the correct part number, look for it on eBay, find a listing for repair by "mandigital". $75 with lifetime warranty. I am running two of them now for a couple years without problem. I'll try that Fleet thank you! Still waiting to hear back from Honda to see if they can source one. If not I'll try that. So after more and more testing it turns out the transmission has gone bad. So the next course of action is gonna be a new transmission. I was thinking maybe I should get an H series transmission instead of an F. I would obviously order from Hmotors but any input if I should just get an F or an H? Last edited by Danyal68; 03-15-2019 at 11:50 AM. The H transmissions will have shorter gears. The car will feel quicker, gas mileage will suffer some (not too bad). I believe you will still need to tap a new hole to use one, but that’s actually a pretty easy process using inexpensive tools. There’s a good write up on the process in the swaps section here. Confirm that you’ll need to tap first, though. I may be wrong! So to update everyone, it was the transmission that was bad. It was replaced with a rebuilt one. So the issue is now gone. Changed the front and rear motor mount but still shifts a little harsh. Maybe it is because I have to break it in, but if anyone has any other ideas I’d be happy to investigate.